This recipe is delicious warm or cold, and made for leftovers. The addition of chickpeas gives it some heft and canola oil blends all of the flavors nicely. 1. Preheat oven to 450 ⁰F (230 ⁰C). 2. Cut asparagus into 1-inch (2.5-cm) lengths. Toss with 1 Tbsp (15 mL) canola oil, 1/4 tsp each (1 mL) salt and pepper. Place on parchment paper-lined baking pan and roast for 8 minutes or until asparagus is tender crisp and slightly browned. 3. In large skillet over medium heat, sauté garlic and onions in 2 Tbsp canola oil (30 mL) for about 4 minutes or until onions are softened. Add carrots, basil and 1/4 tsp (1 mL) salt. Continue cooking, stirring frequently, for 3 minutes. 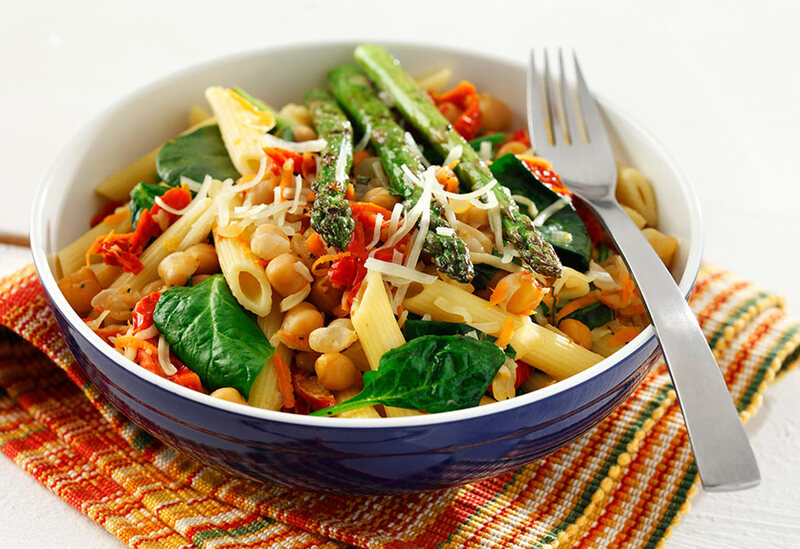 Add sun-dried tomatoes, chickpeas, spinach and stock. Bring just to boil, lower heat and simmer for 5 minutes or until vegetables are tender. 4. 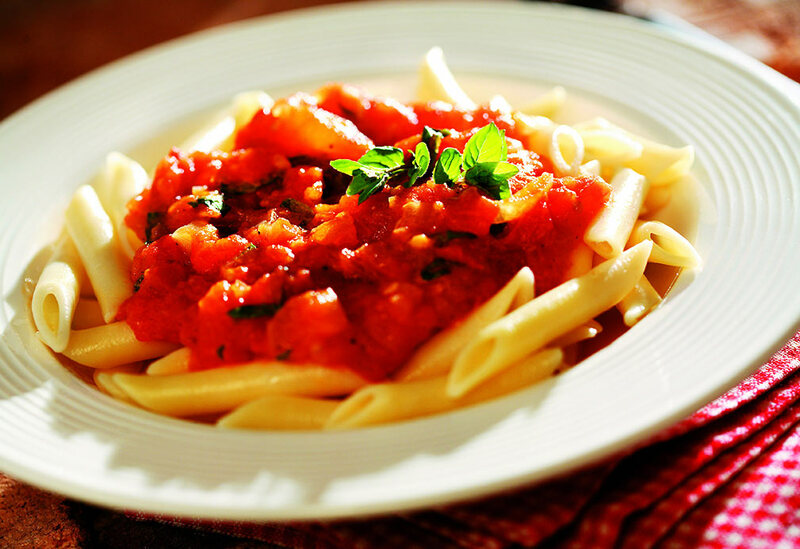 In large bowl, toss warm pasta with cooked vegetables. Stir in 1/4 tsp (1 mL) pepper and Parmesan cheese. Add roasted asparagus; toss well and serve. There's been a resurgence of interest in the slow cooker and it's being used for way more than "stewed" meals! In this recipe, vegetables are slow-roasted in their own juices and canola oil keeps them nice and tender. 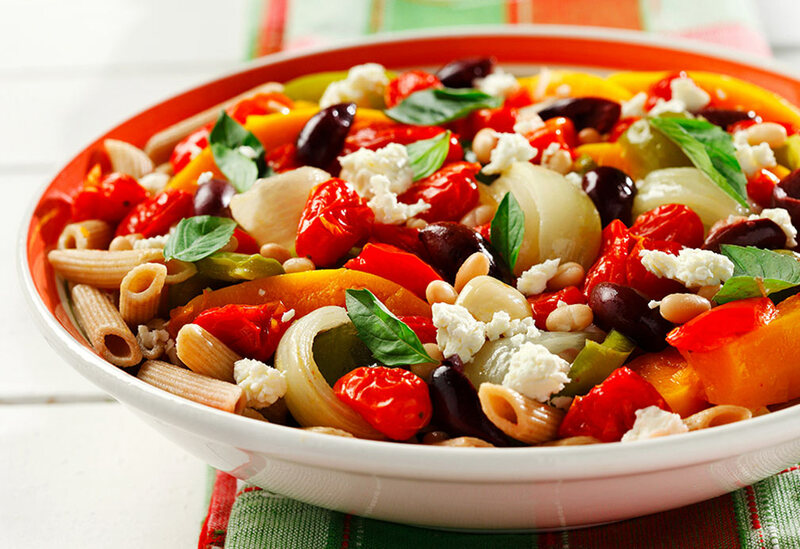 The addition of fresh herbs, beans and olives at the end rounds out the flavors! 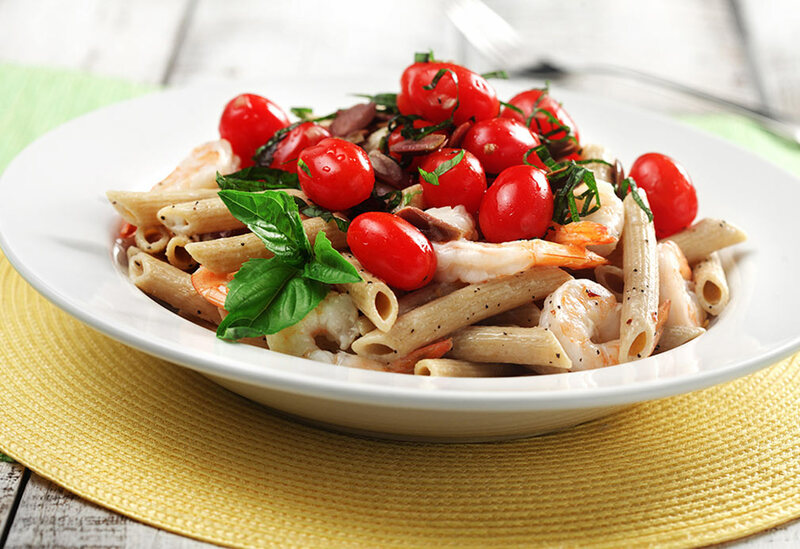 Shrimp and goat cheese are savory treats in this simple pasta dish, which makes a great weeknight dinner and leftover lunch.